Five years ago, the only way you could get to Kuta was by following a long dirt track that wound across the South of Lombok. Like a small ball in a pinball machine, passsengers would be sent flying as every pothole shook the cars suspension. The nearest airport – built with Saudi money – was slowly subsiding into the land. Lombok ‘International’ Airport was a white elephant and was attracting about as many customers as a mountai climbing shop in the Netherlands. 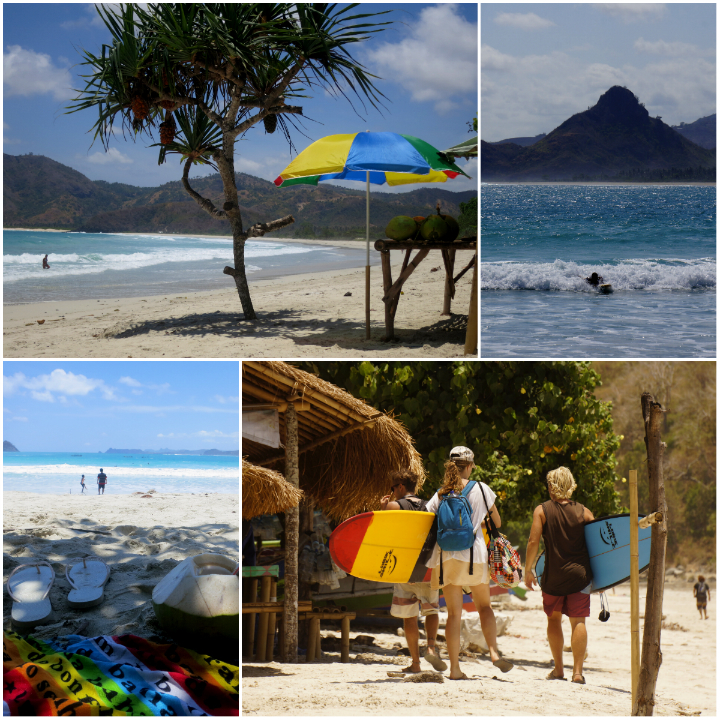 The beaches around Kuta are some of the best in the region and perfect for surfing. Despite all of these problems, anyone who made the journey was rewarded with beautiful beaches and stunning scenery. Kuta is so nice that despite the lack of an actual functioning road, Novotel had decided to build an enormous five-star resort complex in the middle of nowhere (they were in it for the long haul). I immediately fell in love with the area. If I had the money, I would have bought a plot of land right then and there. The hills overlooking the bay offer incredible views. The white beaches were beautiful and almost completely deserted and the town had a sleepy laid back backpacker vibe. A view of the bay where Kuta is located. It’s an incredible sight. Coming back to Kuta on my road trip, I was interested to see what had changed. The first thing I learnt was that my gut instinct had been right. A plot of land that cost $20,000 five years ago was now worth $200,000 (doh). On the hills overlooking the bay there are lots of luxury villas. 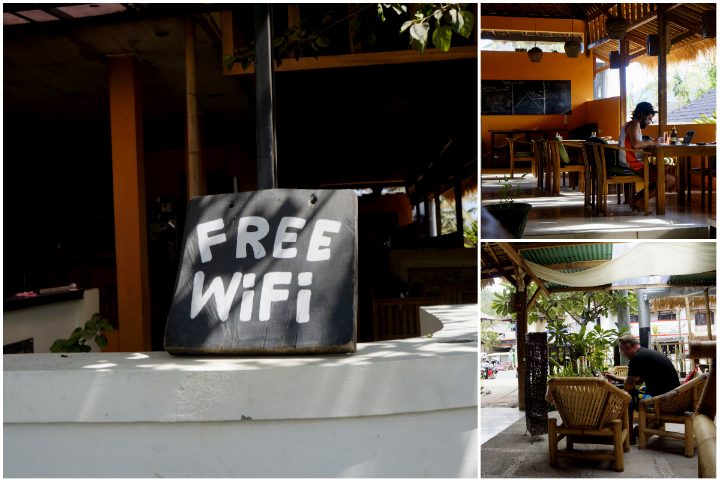 Kuta has a laid back backpacker feel to it. Forget about using the Internet though, it is terribly slow. As of yet, there hasn’t been much actual development in the city. The town still has that slow backpacker vibe. It feels at once empty and busy (it is the kind of place where you could spend a relaxed week, but would probably go crazy if you were forced to live there). Bamboo restaurants line the beachfront and tired old cracked houses are on either side of the main roads. 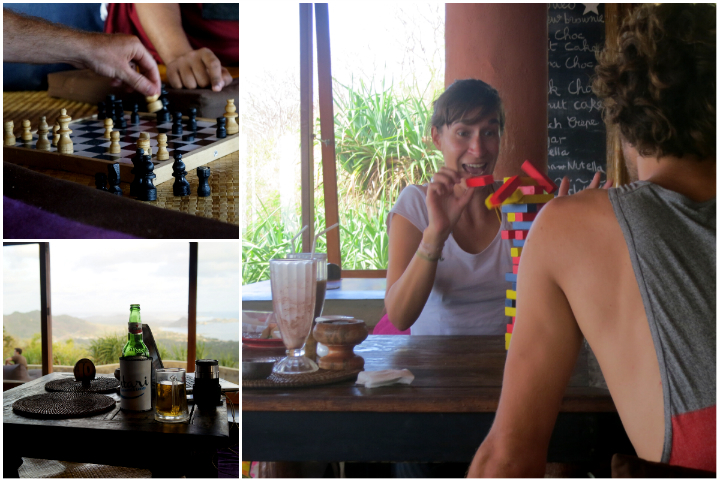 Most of the hotels are backpacker dives, and compared to Bali, the accommodation is expensive for what you get. A view of the beach front in kuta. Plans are afoot to tear many of these restaurants down. Change is afoot though in kuta. There are plans to tear down the beachfront restaurants – many of which are illegally built – and replace them with new properties. This new push – which is all part of the plan to ensure land rights are respected – comes as more five star resorts prepare to set up shop around Kuta. It’s the rural equivelant of gentrification and although the process will occur at Lombok pace, you can be assured that land prices will continue to rise as people who are bored of Bali look to invest in somewhere a bit more up and coming. The nicest cafe in Kuta. Just for the view, this is a must for anyone visiting the town. Outside of the town, things are a bit more mixed. Local property owners and the tourism trade in general have an uneasy relationship with illegal gold miners. Let me rewind the clock a bit to explain; Lombok, like Bali before tourism, is incredibly poor. Five years ago, apart from growing tobacco, there weren’t many options available for local people. Then they found gold and anyone with a shovel started digging up the land in search of the shiny yellow metal. Heavy trucks fill the roads and mercury seeps into the groundwater as a result of the illegal gold mining around Kuta. 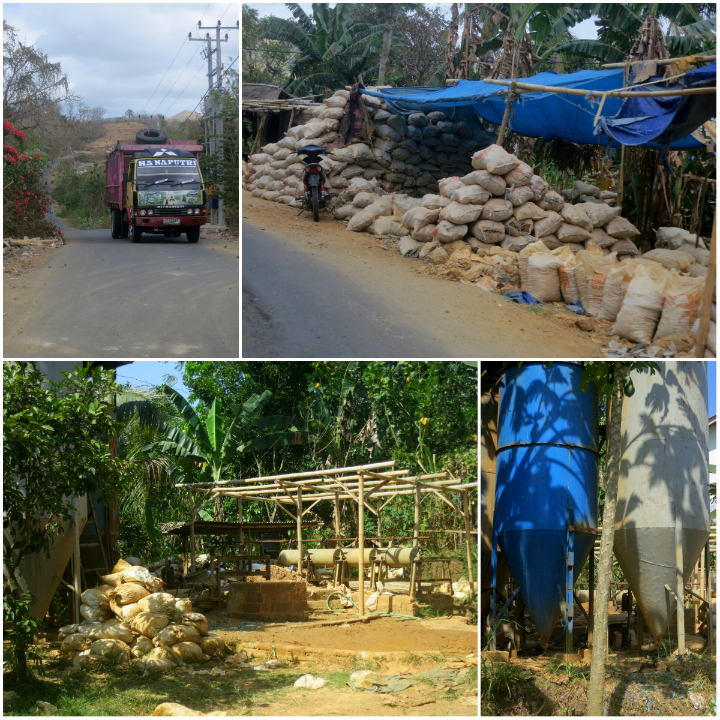 Once you go over the hills surrounding Kuta and pass the best cafe in town, you immediately find the illegal gold miners (here’s a bit more information about illegal gold mining in Kuta). It’s a big problem for the area – people are actually dying in these gold mines and willing to fight to keep them open – and although I think it’s not a long term problem for Kuta – depending on what the local government does – there’s no easy solution. 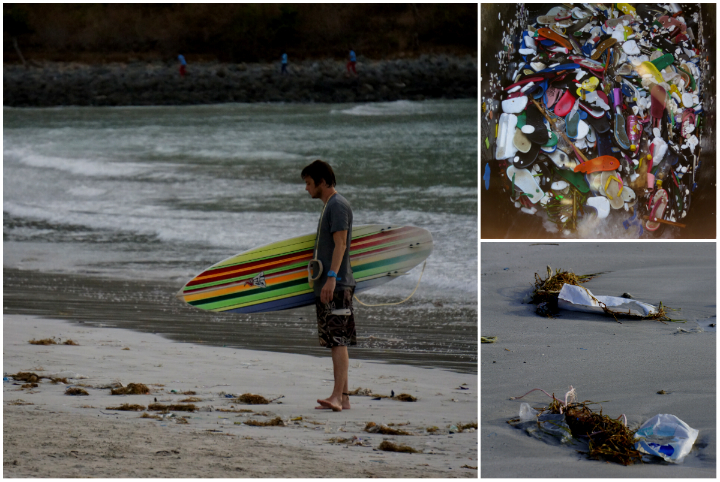 Rubbish, which is being washed up on the beaches, is a growing problem around Kuta. The other issue facing Kuta, which is more likly to be noticed by tourists, is trash. Unfortunately there does not seem to be any organised system of rubbish collection going on and so the beaches, which are one of the areas biggest tourist attractions, are slowly becoming filled up with plastic bags and empty bottles. It’s not a huge problem, but it is certainly an issue. 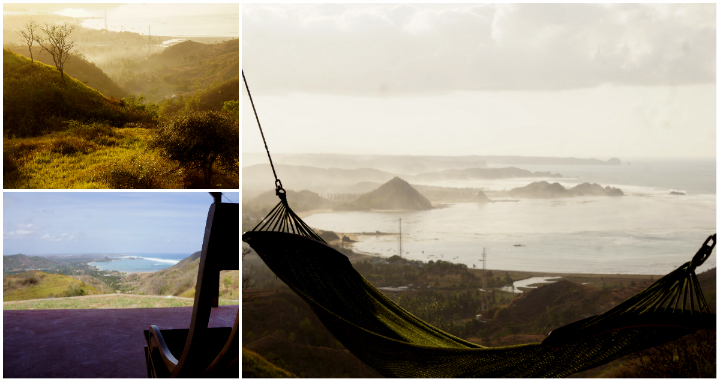 Relax, unwind and enjoy life in Kuta. Still, despite the problems that Kuta is facing, in my opinion Kuta is still one of the nicest places to visit in Lombok. It is hands down nicer and more relxed than the Gili Islands. Though, if you are looking for a party, I’d definitely recommend the the Gili Islands, because Kuta is just one of those places that you go to relax, unwind and enjoy life.